It's holiday time and this marks the end of my one year brand ambassadorship with Roto-Rooter Gel Clog Remover. It's hard to believe that it's been a year already and in that year I've completely changed my brand loyalties when it comes to drain cleaners. 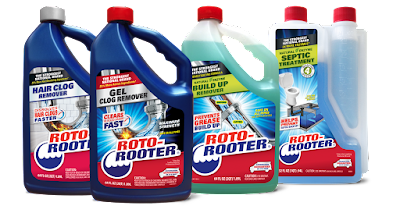 Roto-Rooter Gel Clog Remover just works better than its competitors and I've found that by not waiting around for a clog to form, I can pre-empt their formation all together by integrating Roto-Rooter Gel Clog Remover into my usual schedule of home maintenance and cleaning. Now that the holidays are upon us, preventive maintenance is even more important. Holiday season means a regular stream of visitors and all those visitors mean an added strain on my plumbing system. All of the additional cooking I'll be doing for the next six weeks or so will just ad to an easily overburdened plumbing system in this old house. If I can keep my drains free flowing it'll prevent the embarrassment to me and my guests of plumbing clogs in the middle of a gathering. Before people start coming over and before you kick your kitchen into overdrive, take a couple of moments to run some Roto-Rooter Gel Clog Remover through your sink and bath drains. Roto-Rooter has more cleaning ingredients than its competitors and of equal importance, those ingredients are suspended in a thicker and more viscous solution. That means that Roto-Rooter Gel Clog Remover stays together as an intact mass for a longer period of time once it's sent down the drain. It holds together longer and that gives the product more time to work at dissolving the solids that are conspiring to clog your drains. Hair from sink and shower drains doesn't stand a chance and greasy deposits from your kitchen drain won't be able to haunt you later. 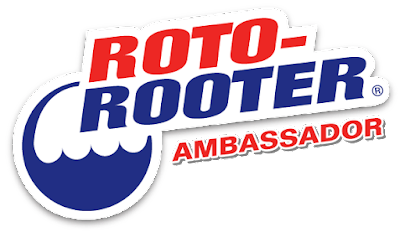 As tough on clogs as Roto-Rooter Gel Clog Remover is, it's also safe for your drain pipes so there's no need for concern about causing any harm to your plumbing. So ring in the holidays with clear drains! You can buy Roto-Rooter Gel Clog Remover at Home Depot, Lowe's Wal-Mart and many more stores. Give it a try and you'll see what I mean.